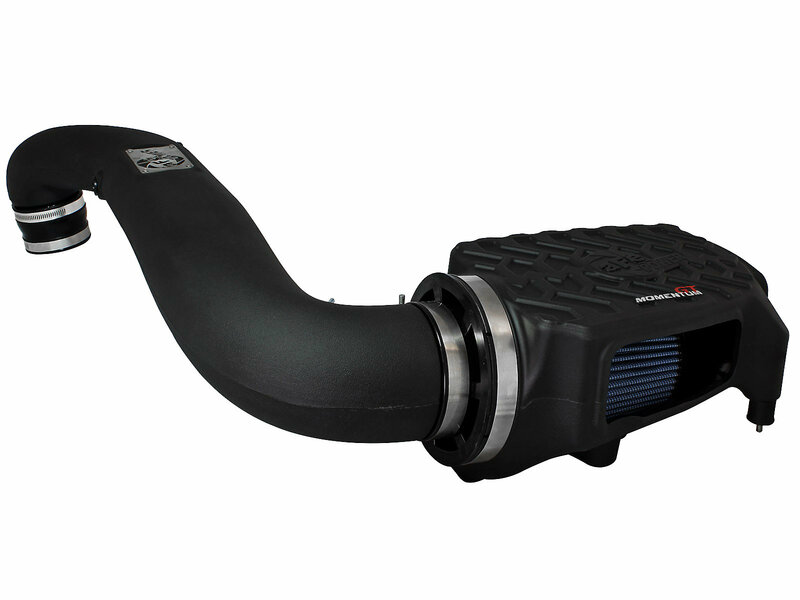 Bringing you the next generation of intakes, the Momentum GT sealed air intake system for Jeep Wrangler TJ is designed using the most up-to-date engineering tools and techniques to provide you with the perfect blend of power and protection. This intake system is superior in every way. From the one-piece sealed housing with a tire tread design top, to the massive air filter and premium hardware, aFe spared no expense to give you the best intake on the market. 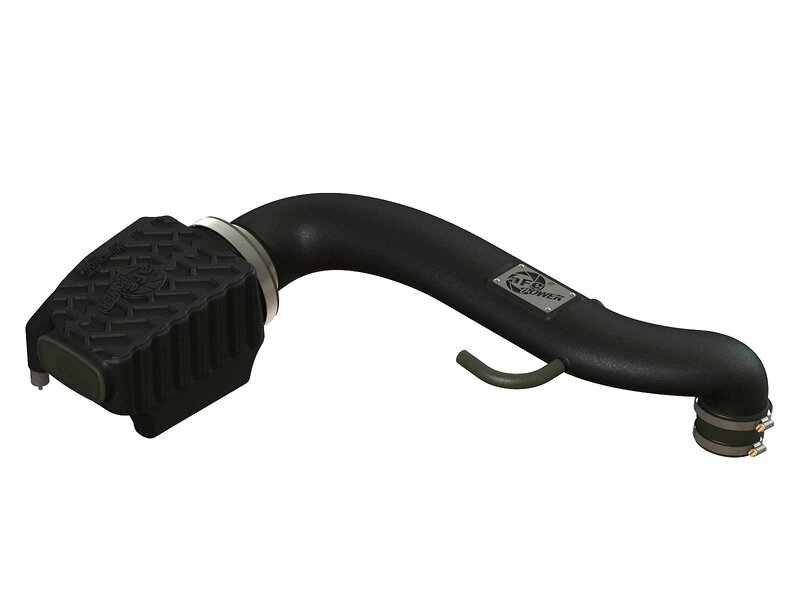 Premium Hardware: Premium stainless steel T-bolt clamps and a 2-ply reinforced silicone coupler at the throttle body is used for strength and durability while also providing the most secure installation available. Momentum GT intakes are designed with fewer parts for a quick and simple installation. Proven Results: After a rigorous design and testing phase, the results are in. 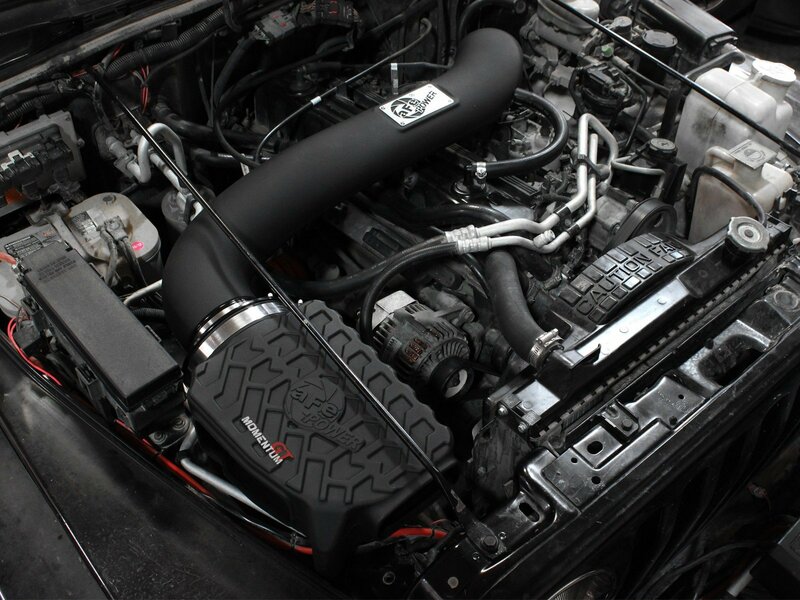 The Momentum GT intake system outflowed the factory intake by 76% and produces 15 additional horsepower and 17lbs. x ft. torque.